Red colour is very auspicious when it comes to any festival or function or wedding in India... 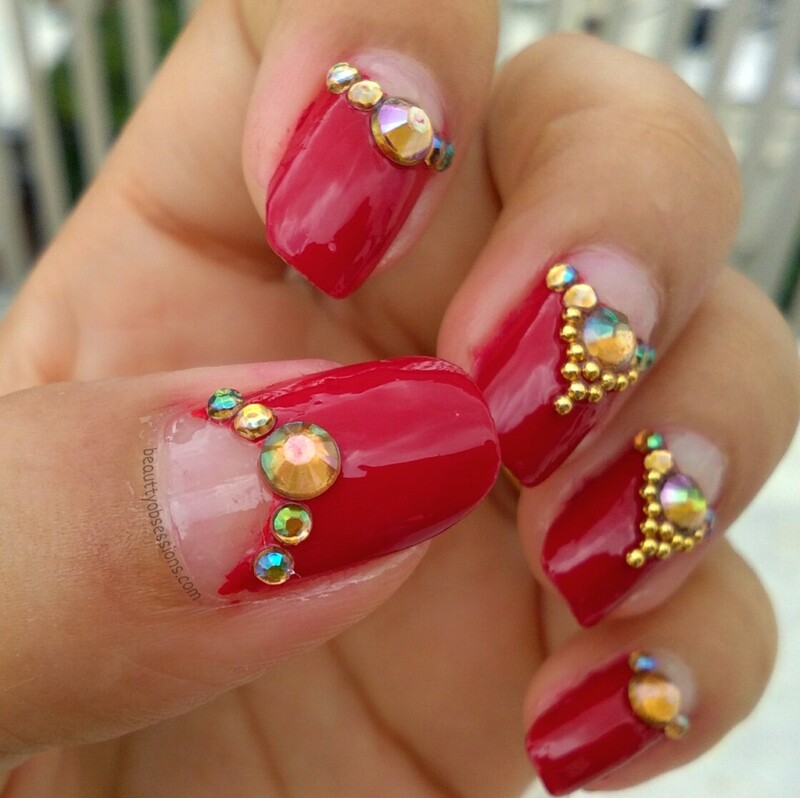 So here I have used red colour as my base colour and used the 3D crystal nail rhinestones and steel beads nail studs to decorate my nails... 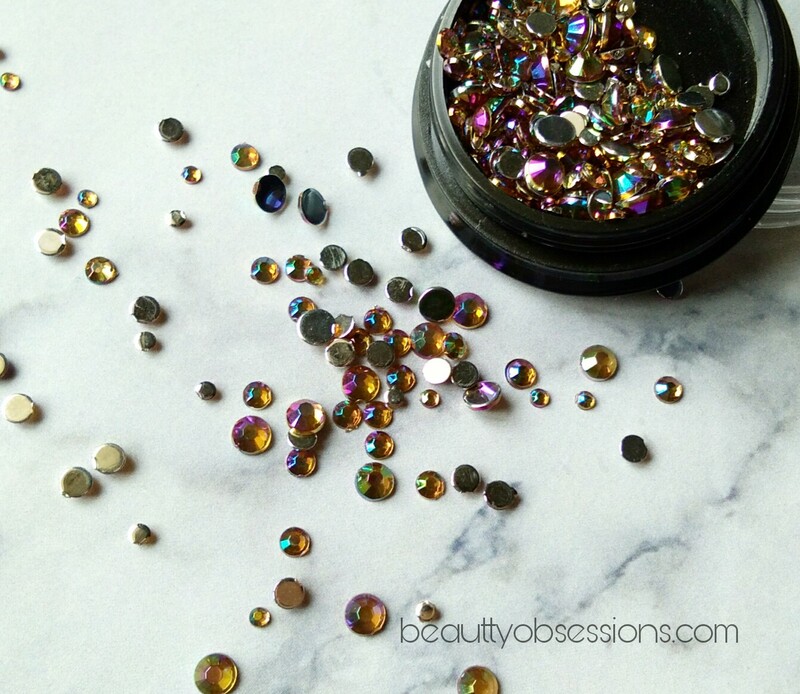 I have got the nail decorations from Beautybigbang.com . 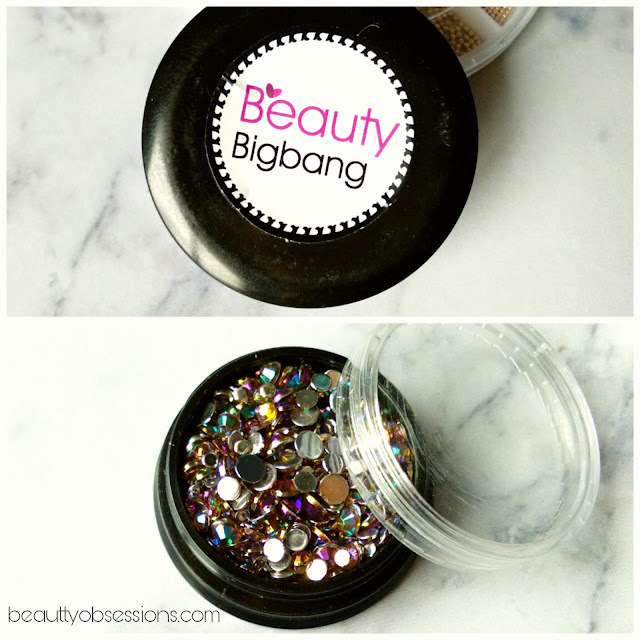 Let me first tell you something about these nail decorators and further we will proceed to the tutorial..
Beautybigbang is an international shopping site which stores nail and makeup stuffs and they are providing free shipping worldwide... The products are of awesome quality, I am saying because I have already quite few stuffs from the site itself.. Read my experience HERE and HERE. 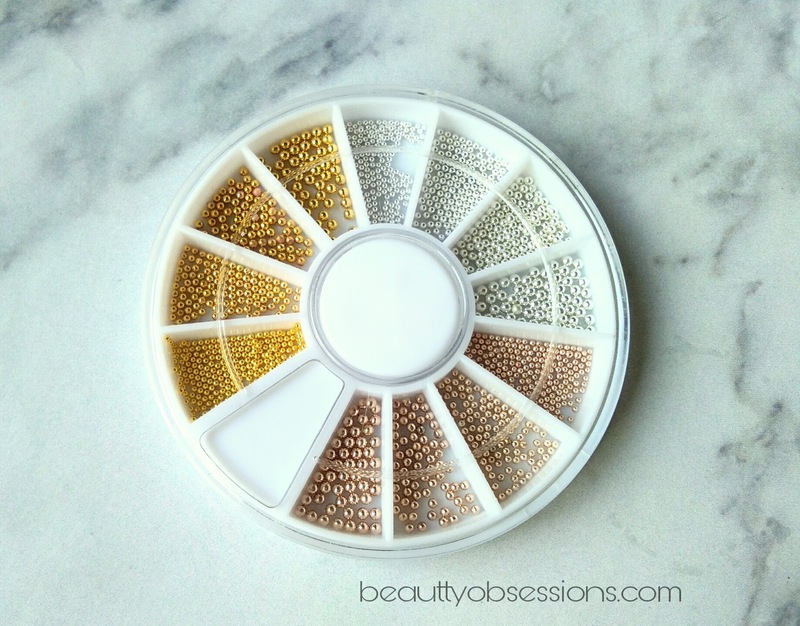 The Gold 3D rhinestones comes in a tiny box which makes it easy to store.. As you can see there mix sizes diamonds inside the box.. 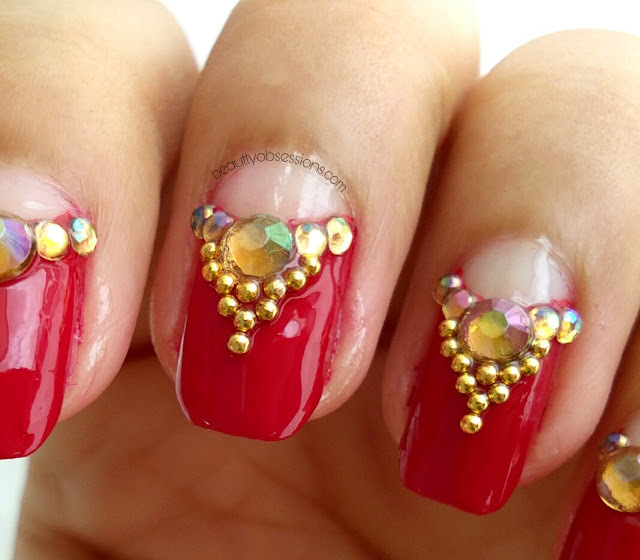 The rhinestone's base is flat, hence easy to put and set on nails.. There are different colours available on site, I have the pink one as well..I will show you that in another post.. The beads wheel has three colour beads i.e. 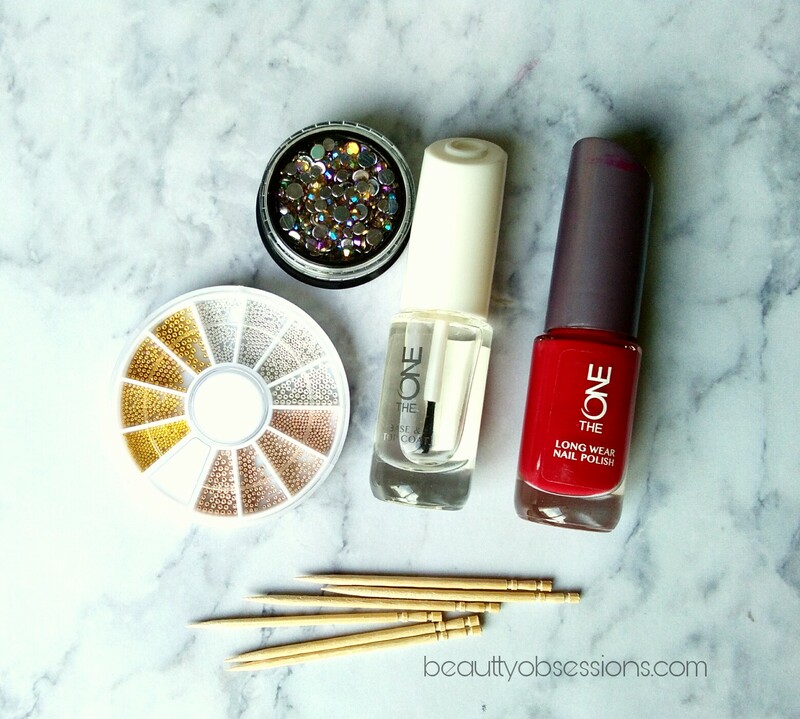 golden, silver and rose gold shade. There are four sizes in each individual beads in that same wheel which makes it convenient to apply according to the necessity. 1- First apply a clear base coat and let it dry.. Then apply red nail polish as I have shown in the below picture..
3-Then through a toothpick pick the rhinestones and beads and put on nails carefully... Refer the pic..
Now the bridal nails done.. Isn't it easy? 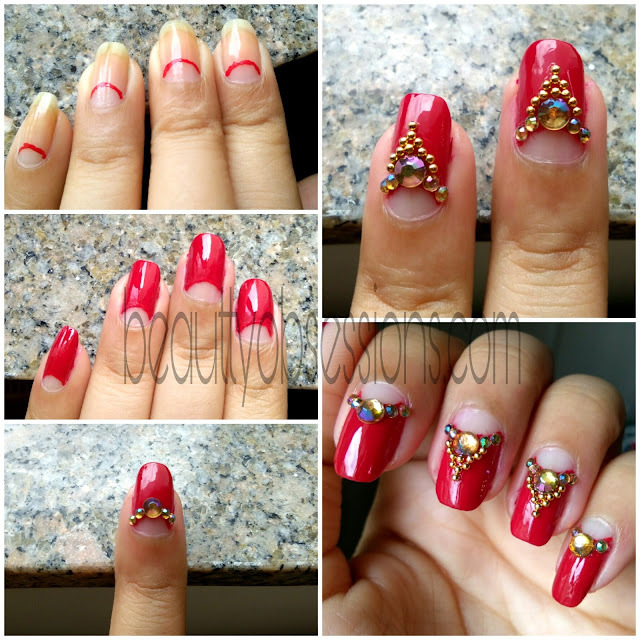 Hope you liked this Indian bridal nailart tutorial.. See you soon with some more amazing creations.. Till then bye..
*You can avail extra 10% off sitewide using coupon code SNIG10 on Beautybigbang website... Happy Shopping..
You've put in a lot of efforts to create such a beautiful nail art. This would look perfect on a bride. 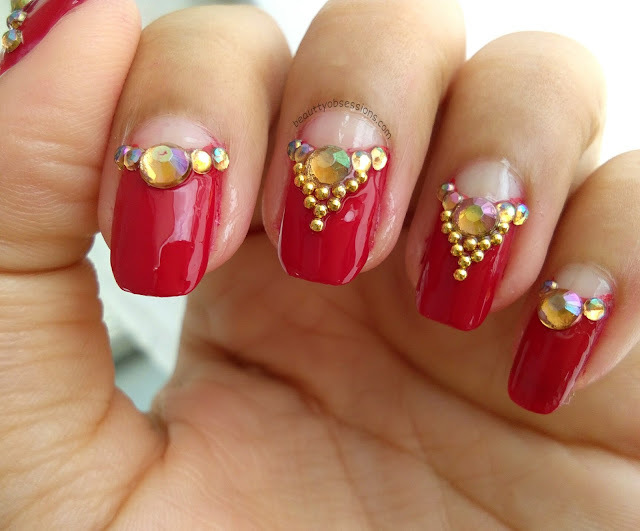 Wow looks so beautiful and attractive nail art. It can be perfect for any bride also. Amazing post. OMG! I just love this nail art done by you. 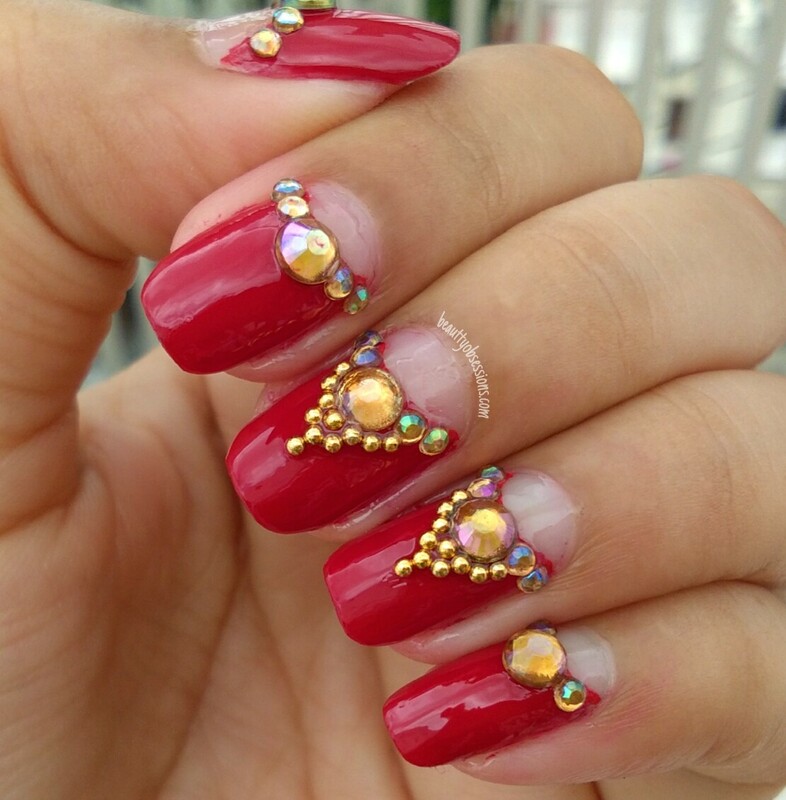 Though I find it difficult to maintain such beautiful nail art with my kiddo around but still I will definitely remember this and try it out on some special occasions. 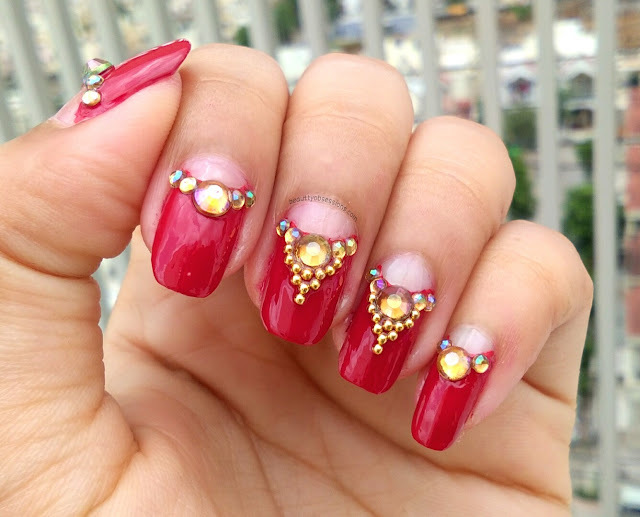 Oh such a beautiful bridal nail art. I wish I had gotten this type of nail art when I got married haha. 😍 really lovely. This is sooooooooo Gorgeous!!! Loved it thoroughly!!! Such a beautiful nail art.